Free from the responsibilities of home life and wanting to experience as much as we can, we all lose our inhibitions a bit when we travel. We become more confident, more adventurous and a lot more courageous, doing things we would never usually do at home. I always try to avoid saying no to something new which makes the possibilities endless when travelling. But it also means that in amongst all the fantastic experiences, there are bound to be a few not so fantastic experiences too. Aside from the time we were almost mugged in Namibia , I have never really written about anything negative on the blog. I’m generally a very positive and easily pleased girl and, to be honest, we’ve been amazingly lucky and haven’t really had many bad experiences on our travels. But there are a few things that I can say I would never ever do again. After a few days on the blissful white sands and the shallow clear waters of our little island in Fiji, we decided to do some exploring and try out cave diving. A short boat ride took us to a neighbouring island with a large cave full of a deep pool of dark water at the bottom. We got into the cold water and, one at a time, the guide dunked our heads underneath. We swam down and forwards, through the narrow rocky slit of an entrance into the main part of the cave, towards the torch light that was being shone at us by another guide inside. We weren’t under the water for long but we had to make sure we took in enough breath, as having the rocky sides of the cave entrance above us and around us, and being completely submerged in water, meant that coming up for air wasn’t an option. Apart from the huge water spiders bobbing along the surface of the water and the fact that we had no safety gear, helmets or ropes, or anything that would have helped if one of us had hit our head on the rocks, it was actually a fabulous adventure. Thinking back on it now though, this is probably one of the most dangerous things we’ve ever done and I dread to think what could have happened if something had gone wrong. 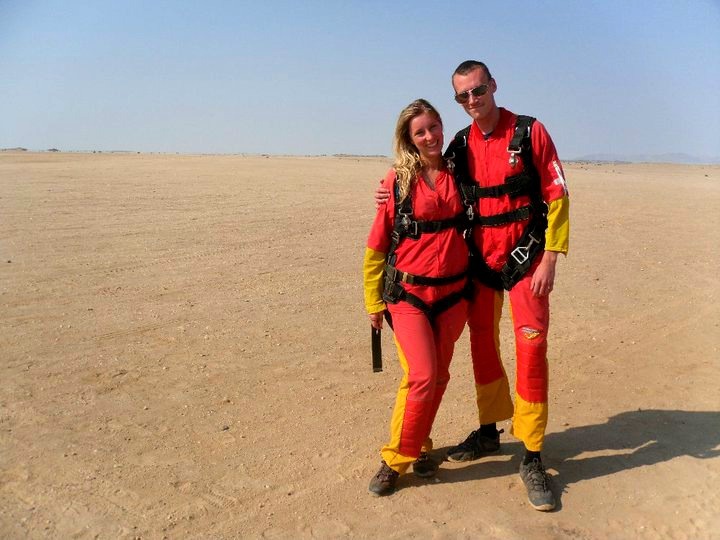 After almost two months travelling across Africa, I somehow found myself strapped to a complete stranger and feeling so sick that I was not only worried about throwing up everywhere, but also worried about the fact that I was about to be thrown out of a plane 10,000 feet above the Namibian sand dunes. This was all Mr Ayla’s fault. He had signed up to do a skydive a few weeks before and, not wanting to be left out (as well as thinking he would chicken out and not go through with it) I stupidly signed up too. Before he jumped out of the plane a few minutes before me, my final words shouted over the noise of the propellers were “I LOVE YOU!” and “BE CAREFUL!”. Be careful?!?! What sort of an idiot tells someone to be careful just before they jump out of a plane?! It may have been one of the most incredible things I’ve ever done but I’ve done it once, and once is perfectly enough for me thank you very much! 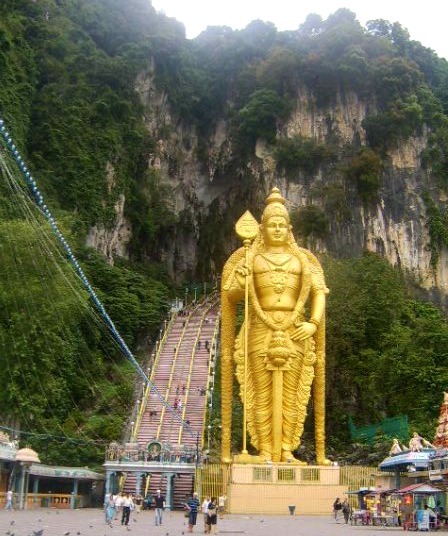 In all of our travels there has only really been one place that we haven’t loved – Malaysia. I found the cities dirty, the sights didn’t inspire me, the men leered and the women were hostile. I can hear your gasps of horror because I have been told over and over again how amazing Malaysia is but it just wasn’t a place we enjoyed. In our excitement to get across Malaysia into Thailand, somewhere we were dying to see, I just hadn’t done enough research on Malaysia and so we ended up simply stopping at the typical touristy places. Now, I probably go overboard on the amount of research I do, reading guide books, blogs and getting tips on the best things to do and where to eat. But after our fiasco in Malaysia I will always make sure I do my research properly. 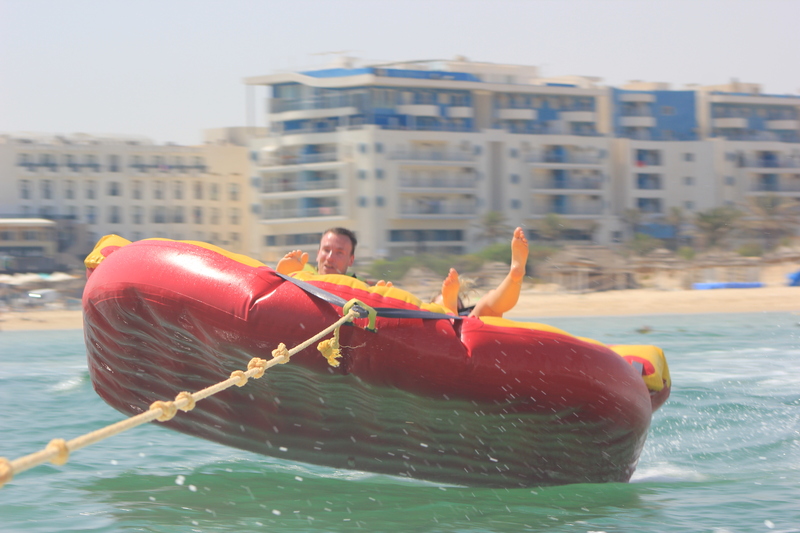 What started off as a fun and thrilling ride, being pulled along on a blow up sofa in the Tunisian sea, our driver obviously thought we weren’t having enough fun and decided to speed us along so fast that I’m surprised the sofa didn’t take off. The wind and the salty sea whipping past made me squeeze my eyes closed tight, and my knuckles turned white they were gripped so tightly onto the handles that my arms ached for days after. I screamed so loudly in fear of being thrown off and slamming into the sea. I feared for my life (no joke, I was actually petrified!). This post is part of this month’s travel linkup by Kelly, Emma, Rebecca and Shikha. What things would you never do again when travelling? Let me know in the comments below or write your own post for the travel link up! 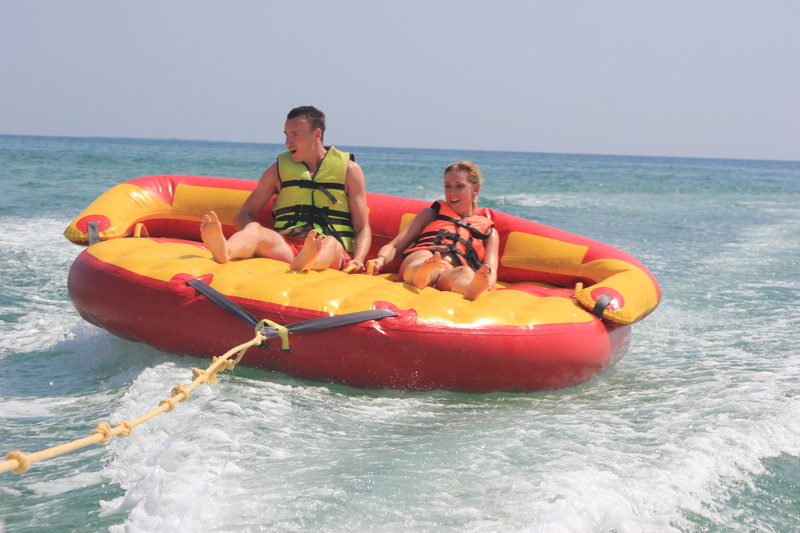 The sofa boat was actually the worst but the photos have me in fits of laughter every time I look at them! I guess a lot of things are always better on reflection. Oh no camel riding is awful! A sore bum for days afterwards! Yes, I think that the sofa boat would have been nauseating and scary at the the same time! At least you now know what it feels like and never to repeat! Oh my gosh that last one does looks like plain fun and really does sound scary! haha. They probably torture tourists for fun. Fun post. My sister actually recommended the sofa boat to me as she’d done it the year before but her driver went at a fun speed, not a speed that had us almost defying gravity! So hopefully anyone else trying it would have her experience rather than mine! Haha yeah, I can see why you wouldn’t feel the need to do some of these again! I’ve yet to go skydiving…I feel like it’s one of those things you have to do once, but I’m seriously so terrified! haha, wonderful entry ! The cave diving sounds fabulous and so scary at the same time! If someone had simply bobbed up and hit their head I dread to think what would have happened. Such a fun adventure but it makes me shudder thinking about it now! Haha, sorry to laugh Ayla but that last photo is so funny! You both look exhausted! I once went horseriding in Bolivia, with no helmet and absolutely no safety instructions – and yep, I got thrown off! I was lucky not to break my arm, and learnt a very big lesson – never again! No no you go ahead and laugh at my expense Emily 😛 To be honest these photos do make me laugh too. At the time I definitely was NOT laughing though! That sounds horrid! I’m not a fan of horse riding but I can imagine being thrown off would put you off for life! Ayla, I love you even more for this post. You are 1000000 x braver that I will ever be!! Great post!! We really enjoyed this one 🙂 And rather thought provoking too.. it is interesting how we do things when travelling, we sometimes don’t think about “what ifs”! We will have to ponder over this one as to what we probably wouldn’t do if we were given the chance again…. We always write about the things we loved or the things we would do again so I loved this topic. It definitely made me think back on all our travels! Would love to hear some of yours?? So many of your things look terrifying! Things I probably would never do a first time, let alone a second! You are much braver than me! I am with you on the never going to visit somewhere without researching it thing – I have missed out on seeing things I would have loved simply because I didn’t do my homework first! 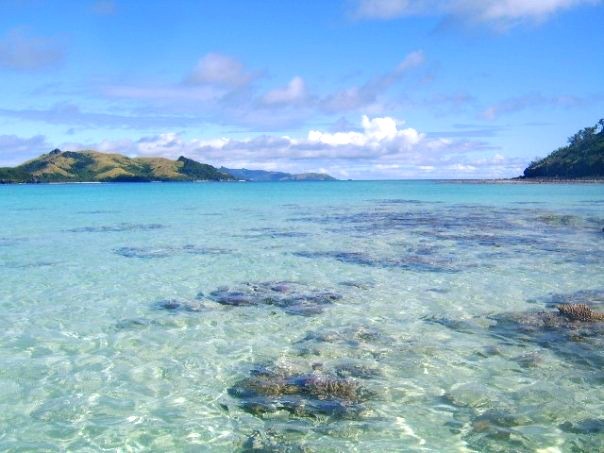 There are so many places I want to go back to purely because of that reason. I hate missing anything!! Although that may be the reason why I now cram our trips with a full itinerary. Better to be tired than to miss out on seeing an incredible sight though right?! hahahaha OMG I loved this post! You are a veeeery brave woman! Thank you for sharing all this with us, such a great idea! Well I’m glad I made you laugh! I was certainly not laughing at the time though! You really don’t have a choice when it comes to wussing out of a skydive. Once you’re strapped to the instructor they just throw you out of the plane and tough luck if you don’t want to or not!! Yes, they were all fantastic experiences and I’m glad I did them. Just never again! I love this post, Ayla! Firstly, water spiders?! They sound hideous! Secondly, I’m so happy to finally know someone else who would never do a sky dive again. My instructor said I was the only person he’d ever known to say they would never do one again! It was fantastic to do a skydive once. But we’ve done it, we were brave and that’s it. No more! Oh Ayla! There’s no way on earth I’d do any of those things (well, I’m pretty good at the no research thing, and wing it a lot! ), the sofa thing looks the most terrifying, at least with the sky diving you like to thing that is well regulated! That’s made me chuckle a bit! I still want to skydive though… just the once! Don’t get me wrong I absolutely LOVED the skydive but once was enough for me! great post. when we’re travelling at some point we end up in a situation all of our own doing which we regret I guess. Once bitten, twice shy! Sometimes that’s the way when travelling. I guess every experience turns into a story to tell though! Exactly Mike, you have to go out of your comfort zone to have the best adventures, and travel certainly makes us do that. I’m so glad I did most of these things but I would not do them again!